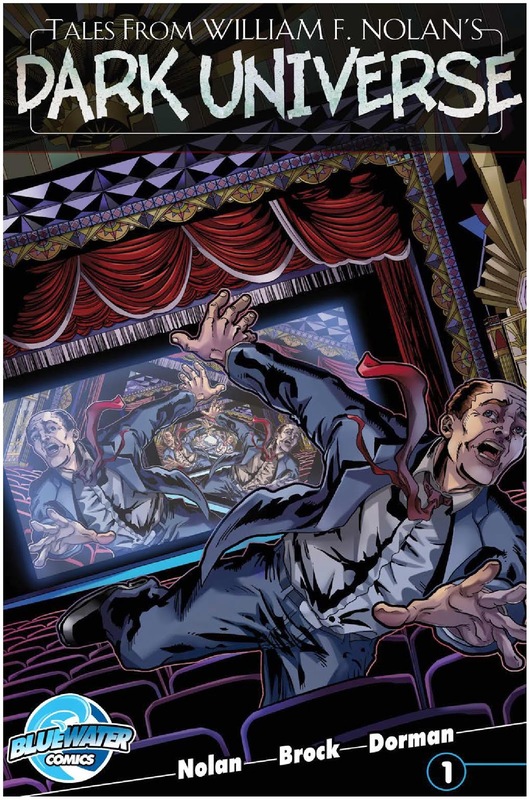 The Fellowship was fortunate enough to obtain a copy of TALES FROM WILLIAM F. NOLAN’S DARK UNIVERSE #1 from Bluewater Comics. William F. Nolan and Jason Brock write, and Scott Boyce and James Bolton draw. Katie has a problem—no one believes her when she tells them about the Halloween Man. They blow her off because she’s a kid. But Dr. Osgood knows, and he’ll take care of everything. And then Michael and Jan go back to his hometown to make a film and have their baby. Things appear different to Michael, but they go anyway. And the strangest things start happening. William F. Nolan is a legend in science fiction and horror literature. There, now that’s out of the way; let’s get on with this. Both of these stories are delightful little snippets of horror fiction. Katie’s story is creepy anyway, but to tell it from the POV of a preteen girl is genius. And Michael’s story has that nice, chilling twist at the end that once you get there, you marvel that you hadn’t seen it coming. Two stories in one book! My only regret with these stories is that there were only two. I was very much left wanting more. 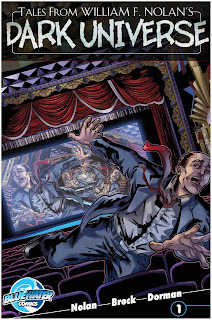 DARK UNIVERSE #1 is available now at your FLCS or by order from bluewaterprod.com.